[ 30.06.2007 ] - First ever live DVD from Oomph! 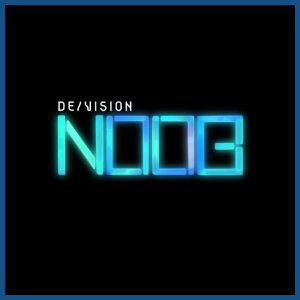 [ 08.06.2007 ] - «Noob» - new De/Vision album! 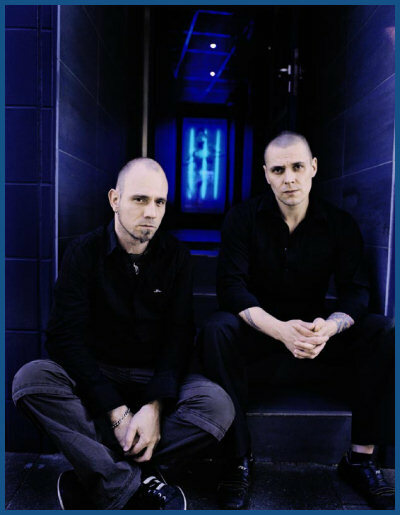 German industrial rockers Oomph! 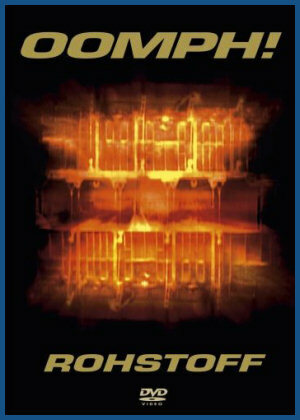 released «Rohstoff», their first ever live DVD - on July 20th, 2007 via Gun Supersonic. This DVD features live footage consisting of 23 songs, most of the video clips the band has created as well as making of videos and interviews. 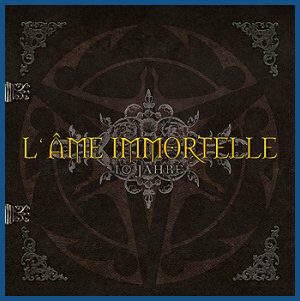 Ten year retrospective «Best Of» album from the sultry and seductive gothic/darkwave legends L'ame Immortelle - «10 Jahre» presents the highlights of their career with hit tracks and fan favourites taken from each of their albums. This release also includes 2 brand new exclusive tracks («Let Me Fall« and «Come Closer») amidst L'ame Immortelles spellbinding mixture of gothic rock guitars, moving piano harmonies, emotional female vocals and pounding electro club beats. «10 Jahre» was released June 22nd, 2007 via Gun Supersonic. As you definitely know, Recoil return with a brand new album, «SubHuman». Listen to the album prior official release on July 9th and chat live with Alan Wilder and other fans - just go to Shunt web site on July 2nd 7PM (GMT). To take part in this event, subscribe here. Depeche Mode frontman Dave Gahan will release his second solo album «Hourglass» in late October. This release is the follow-up to his 2003 solo album «Paper Monsters», which marked his debut as a full-fledged songwriter. Gahan recently returned to the studio to record an array of songs that would become «Hourglass». Created without the pressure of a deadline, Gahan wrote and produced all the songs in collaboration with Christian Eigner (drums) and Andrew Phillpott (guitars) of the Depeche Mode touring band. 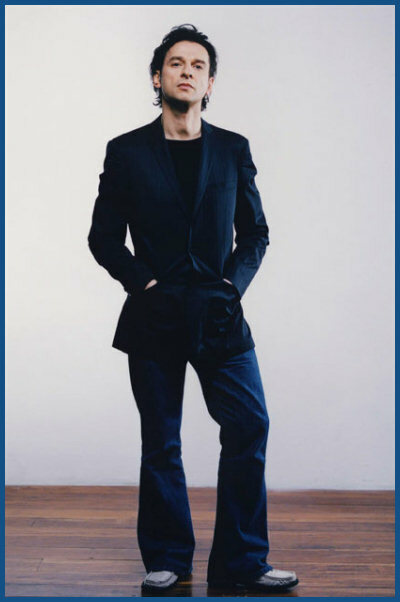 They worked at Gahan's 11th Floor Studios in his adopted hometown of NYC where he's lived for the past 10 years. Tony Hoffer, known for his work with Beck and Air, has been tapped to mix the album in July. With its themes of racing against - and running out of - time, the songs on «Hourglass» dig deeper into Gahan's psyche. «I'm still that teenager who's desperately trying to grow up, but in total fear of it really happening,» he says. The album's tracks include «Saw Something», «Use You», «Endless», «21 Days», «A Little Lie», «Deeper and Deeper», «Love Will Leave», «Down», «Miracles», «Tomorrow» and «Kingdom». Info submitted by official Dave Gahan web site. Order your ticket at www.poponaut.de. Info submited by official De/Vision web site. 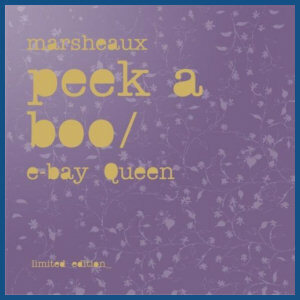 Greek female duo Marsheaux is releasing «Peek A Boo» on July 6th, 2007 via Out Of Line, a true revelation and an essential release for all electro pop fans everywhere. Impressive multi-coloured arrangements vie with breathy, seductive female vocals, ultra-catchy and infectious melodies and brilliant analogue flourishes. If you like Client or Ladytron, you should like Marsheaux too! «Peek A Boo» will be released as a Limited Deluxe Double Digipak complete with the group’s highly acclaimed debut album «E-Bay Queen» as a special Bonus second disc! 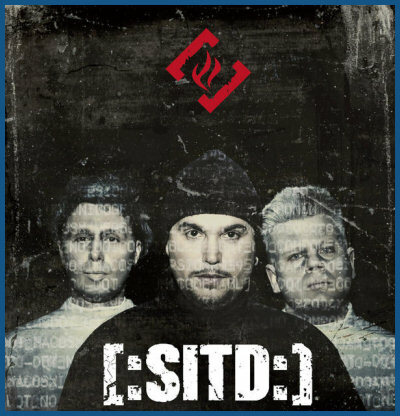 Germans [:SITD:] have canceled their US Tour with Combichrist in August/September this year due to tragic death case of a direct family member. Info submited by official [:SITD:] web site. We are glad to present recent licensed CDs from Gravitator Records. 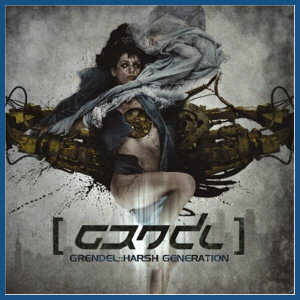 It's dark electro/EBM band Grendel «Harsh Generation» (2007), electro/TBM band Soman «Mask» (2007) and electro / EBM project Electro Synthetic Rebellion «Wounds And Scars» (2007) - all made by licensee from Infacted Recordings. Info submitted by Gravitator Records. The Smashing Pumpkins are back! 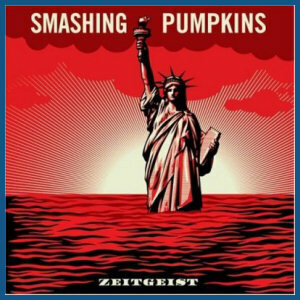 After seven years, the acclaimed Pumpkins have returned with «Zeitgeist» (release date: July 10th, 2007). 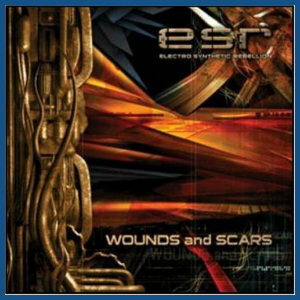 Featuring the single «Tarantula» (release date: July 5th, 2007), this new sound is not to be missed. «Zeitgeist» will be available in following formats: CD, CD + DVD, Special Edition (CD with 76 Page Booklet), CD with yellow slip cover, CD with purple slip cover, CD with green slip cover, iTunes Digital Release with exclusive track «Stellar», Japanese release with extra track «Death from Above» and Vinyl. Info submited by official The Smashing Pumpkins web site. 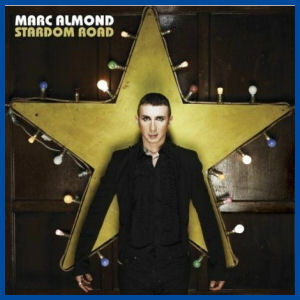 «Stardom Road», the long awaited new album from Marc Almond, was released on June 4th via Sanctuary Records. «I Close My Eyes And Count To Ten» (featuring Sarah Cracknell), which is a Dusty Springfield cover, was released as a single on May 28th. 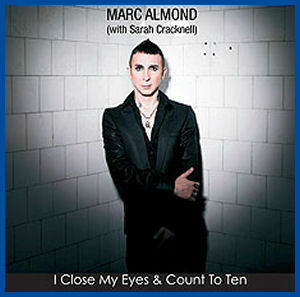 Info submited by official Marc Almond web site. Inspired by the upcoming Live Earth series of concerts on July 7th, Madonna has written a new song, «Hey You», which was available to download as MP3 on Microsoft's MSN page, on May 16th. The first million downloads of «Hey You» were free as Microsoft had pledged to donate $0.25 per download to the Alliance for Climate Protection for the first million downloads. Madonna is scheduled to perform «Hey You» live at the Wembley Stadium Live Earth concert in London, it was confirmed by her record label, Warner Bros. Records, who have also announced that they will be releasing a live CD/DVD of the Live Earth Concert Series. Madonna's new song, «Hey You», recorded in London, was produced by Pharrell Williams and Madonna. She is one of seventeen headliners that have been announced including Red Hot Chili Peppers, Genesis, Beastie Boys and others who will perform at Wembley as part of the 24-hour, 7-continent Live Earth Concert Series. Live Earth is a monumental music event on 7/7/07 that will bring together more than 100 headlining music artists and 2 billion people to launch an ongoing, mass movement to combat the climate crisis. Concerts will take place in New York, London, Sydney, Tokyo, Shanghai, Johannesburg, Rio de Janeiro and Hamburg. Live Earth's 24 hours of music across 7 continents will deliver a call to action and the solutions needed to answer the call. Live Earth marks the beginning of a multi-year campaign led by The Alliance for Climate Protection to move individuals, corporations and governments to take action. Info submitted by Warner Bros. Records. We are happy to announce that new De/Vision album titled «Noob» will released on August 24th, 2007 via Drakkar. Steffen Keth and Thomas Adam again co-operated with producers Schumann & Bach. Album contain 12 brand new songs and the already known «Love Will Find A Way» in a new version. The duo describes the sound as clearly faster, more straighter and much more electronic. However lovers of De/Vision typical ballads don't need to fear, because this CD has few of such tracks too. In addition right after album release band finally will start extended German Tour. You will able to hear «What You Deserve», first new track from «Noob» at band's MySpace page - on Friday, June 15th! Later you will able to listen there snippets from all new De/Vision songs. New KMFDM album «Tohuvabohu» will out via KMFDM Records/Metropolis Records on August 21th. KMFDM’s new album, «Tohuvabohu» is no exception. ‘Tohuvabohu’, an Old Testament word meaning «wild and chaotic», perfectly captures the spirit and energy behind the tracks contained therein. Sascha Konietzko, the band’s founder and leader, conducts his army of analog synths and wields his razor sharp lyrics and vocals. Chanteuse Lucia infuses her tracks with a fiercely powered urgency alternating with soft beauty. The KMFDM core remains solid as ever with Jules Hodgson, Andy Selway and Steve White providing the cranking guitars and forceful beats that KMFDM is known for. While staying true to the Ultra Heavy Beat, «Tohuvabohu» also dares to venture into new territory, ultimately destroying everything in its path. The album offers up servings of dance («Looking For Strange»), metal («Saft Und Kraft») and industrial («Spit Or Swallow»), along with the somewhat unexpected elements of darkwave («Tohuvabohu»), sweeping epic («Bumaye») and even rock/pop («Fait Accompli»). «Tohuvabohu» adds to the growing list of languages sung in the KMFDM catalog – Latin, Hebrew, Lingala (an African language) and Spanish can all be found within. The Spanish language cover of Liaisons Dangereuses’ dancefloor favorite «Los Niños Del Parque» provides a perfectly retro/electronic departure as one of the album’s most memorable tracks. Continuing the band’s one of a kind relationship with their followers, Sascha K. invited the fans to participate in the creative process via the Fan Phone. For a couple of weeks fans from all over the world called in and recorded stories of what KMFDM means to them. Kapt’n K., as he is known to the devoted horde, wove their voices throughout the album’s opening track, «Superpower», demonstrating once again that KMFDM belongs to the people (and vice-versa). 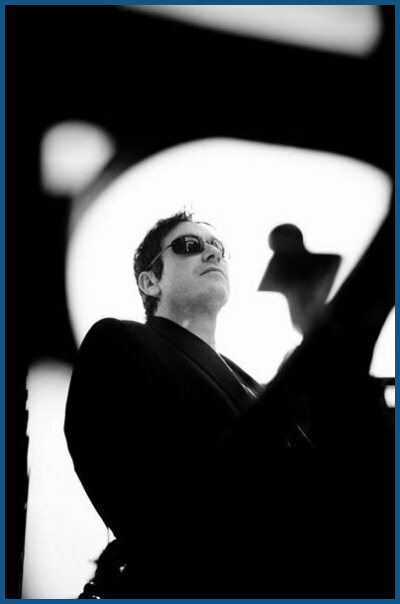 Alan Wilder returns with brand new Recoil single «Prey» - it will out June 25th, 2007 via Mute. The single, released on 7" and Download, precedes «subHuman», the 5th studio album out on Mute on July 9th, 2007. 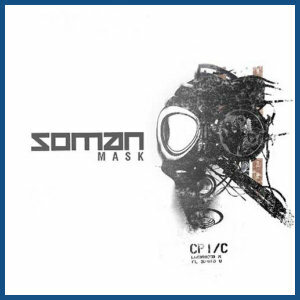 In other Recoil news: to coincide with the release of «subHuman» on July 9th, the entire Recoil catalogue will be available for download from the iTunes music store. Each album will be available in both the standard 128 kbps AAC as well as the new higher quality 256 kbps, DRM-free encoding (which allows playback on an iPod, other digital music players, or an unlimited number of computers). Each Recoil studio album will be available on a track-by-track basis or as a deluxe package including all the singles, b-sides and remixes. Info submitted by Mute Records. 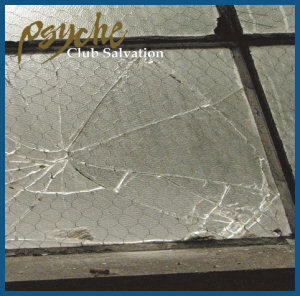 Psyche have released a limited edition club-oriented compilation, «Club Salvation», with tracks that were previously only avilable on compilations, CD singles, or never before released. This CD will not go onsale into stores, but you are able to purchase this exclusive item at the band's concerts around Europe this year or through Endless Records in Germany. Info submitted by official Psyche web site. 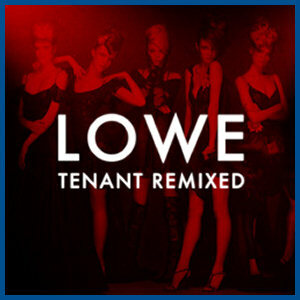 Lowe will release «Tenant Remixed By...» on June 25th, 2007 via Megahype. The double disc album holds 21 exclusive remixes made by the various artists and bands including: Håkan Lidbo, Iris, Colony 5, Elegant Machinery and Minerve. At the moment Lowe are in the studio working on «Kino International», the follow-up album to «Tenant». The release is set to October 2007. Info submitted by official Lowe web site. 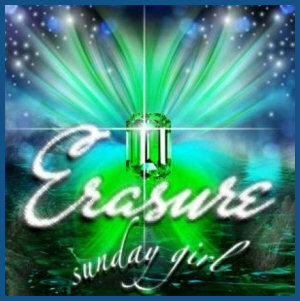 The second Erasure single from the album «Light At The End Of The World», «Sunday Girl» will be released on June 11th, 2007 and available on two CDs (CD and LCD), 7” Picture Disc and Digital Download. Info submitted by official Mute Records. 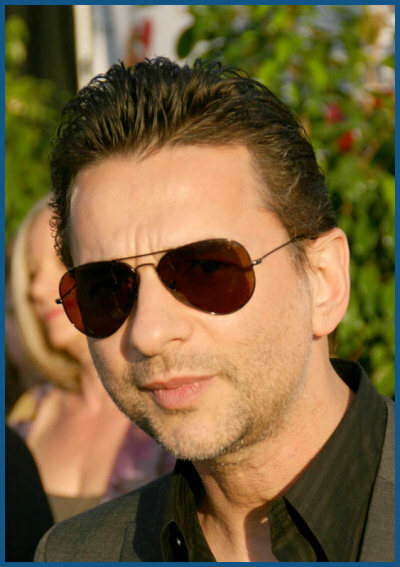 Official Depeche Mode web site confirmed that Dave Gahan is currently working on second solo album. He is hopeful to have the album released (tentatively) in October 2007. Info submitted by official Depeche Mode web site. 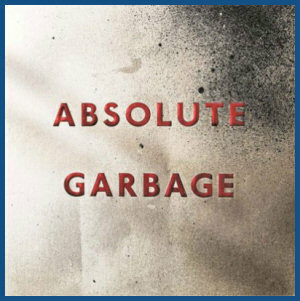 Among the 15 Garbage music videos on DVD for the first time — including «Vow», «Only Happy When It Rains», «Stupid Girl», «Milk» and «Queer» — is almost an hour of never-before-seen footage backstage and behind-the-scenes, live performances and interviews, spanning the band’s entire career. A special limited edition 2-CD set adds to the original CD a bonus disc of remixes by some of the world’s most renowned DJs, including U.N.K.L.E., Massive Attack, Todd Terry, Crystal Method, Fun Lovin’ Criminals, and Felix Da Housecat. Garbage will release a brand new single entitled «Tell Me Where It Hurts» on July 9th via Warner Bros. Records (excluding North America). It will be available on two 7" formats and one CD. Each 7" release has a different b-side («Bad Boyfriend» (Sting Like a Bee Remix) and «All The Good In This Life») whilst the CD features track «Betcha». Info submitted by official Garbage web site. 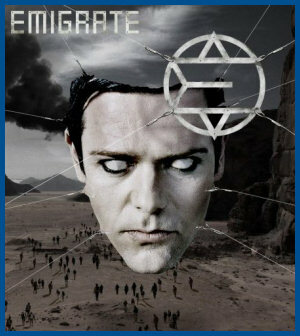 Debut album of Emigrate, solo project of Richard Kruspe from Rammstein, entitled «Emigrate» and set to release on August 31th, 2007 via Motor. In other news: Rammstein are currently working on songs for a new album. Therefore they will not play live in the near future. Info submitted by Pilgrim Management.